Apple has released Digital Camera RAW Compatibility Update 3.4 to include compatibility with more digital cameras’ RAW files. 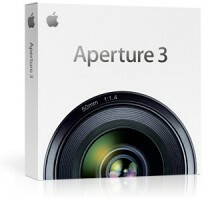 To download the update: Digital Camera RAW Compatibility Update 3.4. It’s also included in Mac OS X 10.6.5 update. For a list of currently supported digital cameras’ RAW files visit this page: Mac OS X v10.6: Supported digital camera RAW formats. uuugggh, when is STC going to release the iphone 4??? ?